This is another one of those dishes that seems to help warm me during the chilly winter months. It’s essentially the same as the French clafoutis only it’s cooked in a skillet which makes it seem more appropriate for breakfast than dessert. It’s also easy to make this pancake gluten-free and/or dairy-free if your diet is restricted. I think this pancake is sweet enough on its own, but if you want to indulge a little, drizzle maple syrup over each person’s slice just before serving. Preheat oven to 425°. Melt butter or coconut oil in a 12-inch ovenproof frying pan over medium-high heat. (I use a 12-inch cast iron pan.) Add brown sugar and cinnamon and swirl to combine. Add apple slices and cook until just starting to soften, about 3 minutes. Meanwhile, in a blender, whirl together eggs, salt, flour, and milk. 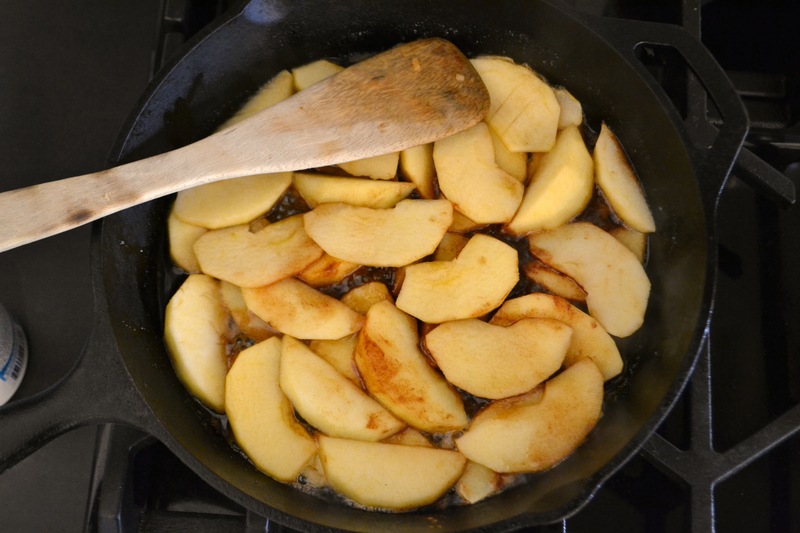 Pour egg mixture over the apples in the pan and bake until puffed and golden brown, about 15 minutes. Sprinkle with lemon juice and powdered sugar. Serve warm. Loving your recipes!!! How was your holiday – would love to see some photos…..
Wow! This looks incredible. I’ve been perusing recipes for a bit now and this is the first one that’s caught my eye. Especially perfect since I have nieces who are gf. Thank you for your comment and for visiting my blog. 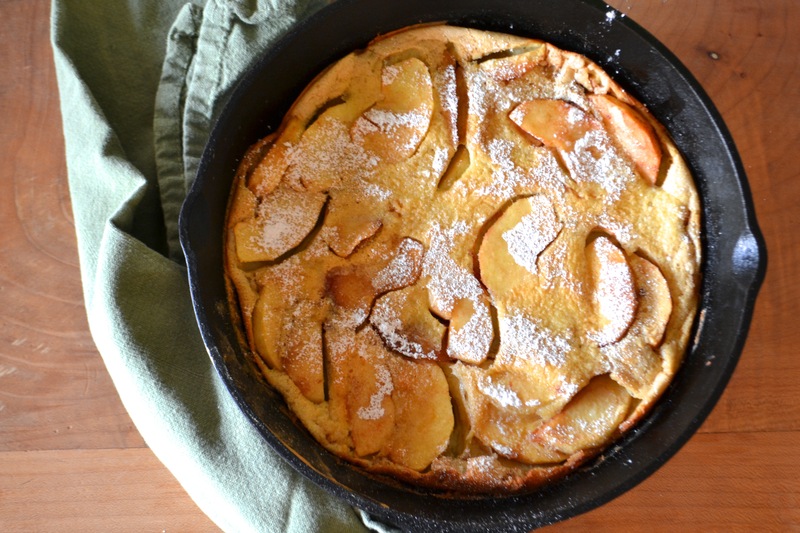 I’ve made the skillet apple pancake using regular all-purpose flour and whole-grain spelt. It has a slightly nicer texture than if you make it gluten-free, but it’s still delicious GF. Try it both ways! This looks really good! I’m going to try it for a fun Saturday breakfast. I’ll let you know how it turns out, thanks for the recipe! Thank you very much for visiting my blog and for your comment! I hope you like the recipe, and if you have time, please let me know how it turns out for you. I always appreciate blogs that have healthy ways to eat and also, liked the fact you include all aspects of life. I love the idea of apple pancakes. I mix whole wheat flour and white all the time! Thanks. 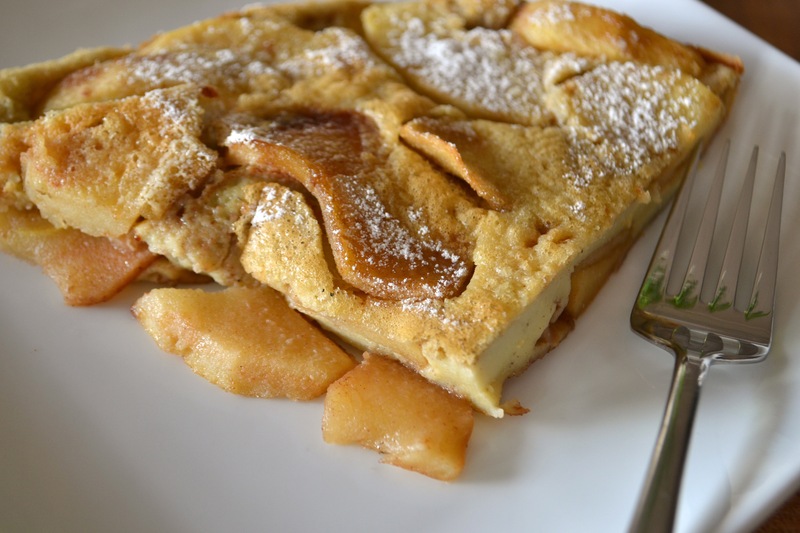 Thanks for your comment on my skillet apple pancake (and for your humor). They say the later is most effective at keep us looking young(er). Second to that, have you tried and retinol products? We had this for breakfast this morning and it was delicious! It was the first time I used my new cast iron skillet in the oven, and what a great way to break it in. Thanks for the beautiful recipe, we’ll definitely be having this again! I’m so glad you liked the skillet pancake! Thanks for taking the time to report back. I’m also glad to hear you used a cast iron skillet. They are absolutely the best. They may not be as pretty as the enameled Le Creuset line, but a properly-seasoned cast iron skillet will last 50+ years only improving with age, and at less than $20 a pan, it’s just a smart choice. In addition, some of the iron leaches into your food which is good, particularly for women.